I decided a while ago that I wanted to get into reading more books form independent creators. What better way to find new and interesting comics than to use Kickstarter? I mean besides finding people at local comic conventions (which I also do) but Kickstarter let’s me read indie stuff from all over the world all while helping to support these creators. Now, full disclosure Jon Laight is one of the writers for my very own Eynes Anthology book that I’m working on. I will still be honest with this review, but I wanted full transparency upfront. He’s also a really great guy from across the pond in merry ol’ England. Once Jon joined up with my little book I’m working on I found out that issue 3 of his book was up on Kickstarter and decided that I would support him and pick up the perk her had where I could get all three issues. Today they finally arrived and I sat down and read all three without stopping. I’m going to talk a few spoilers, so if you don’t want any, stop reading. The story revolves around Newton who you find out is a human alien hybrid created by the US government in what I can only assume is an attempt to create soldiers with super powers. Things go awry Newton ends up being the only test subject left. The story takes place in sever different times that help paint a better picture of what is going on. Present day, 1994, and 1963. Each time frame gives you some illumination on just what is happening. Now I’m not 100% sure on what all of Newtons powers are, but he has control over gravity and is generally a guy you wouldn’t want to be on the wrong side of. What is his purpose in this book? Well, vengeance of course! He wants to enact revenge on the general who killed his brothers and the scientist who created him. There’s more to if than just revenge, but at it’s core it’s the story of Newton and how he ends up an unsuspecting super hero. I was a little sad that I got issues 1, 2, and 3 but issue 4 that completes the story wont be out until 2018! Now I have to wait to finish this story and see what happens to Newton and if and how he gets revenge on the general and his little super soldier toys he has now. 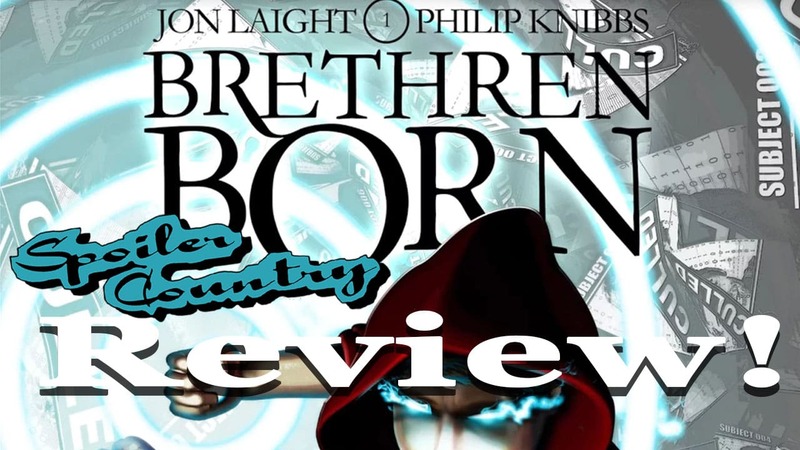 I would say Brethren Born is a good read, I mean I read all three back to back and was legit irritated I didn’t have the final issue to read! Should you read this? Well, do you like revenge tales that mix in sci-fi and multiple time lines into the mix? If so, then you absolutely should! You can pick this series up on ComiXology or ComicHaus. ← Chew by John Layman & Rob Guillory: It’s gross, but that’s the charm!